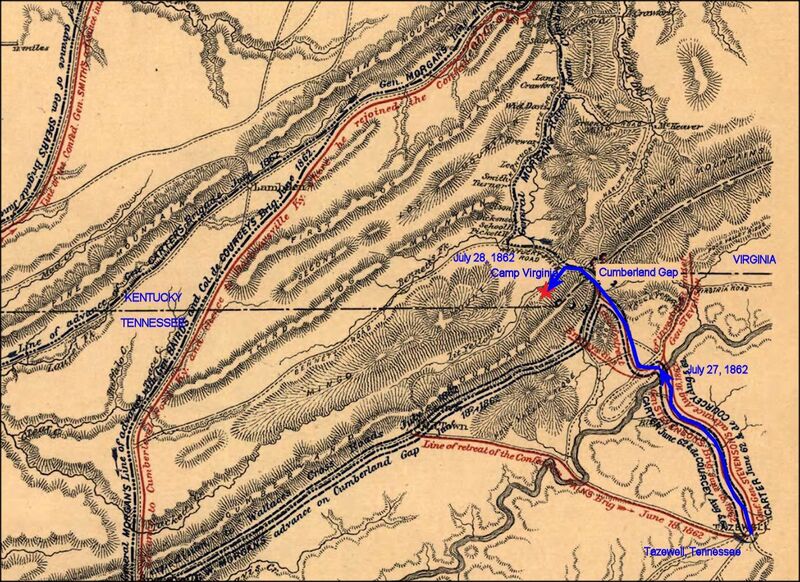 On this day at sunrise the 16th Ohio resumed its march from their field camp at Powell's River back to their base camp, designated Camp Virginia, at the northwest entrance of Cumberland Gap. The regiment had marched 30 miles since starting out on their successful foraging mission July 26. Period map showing the approximate route of the 16th Ohio on its return march from Tazewell, Tennessee, via a one night camp on Powell's River to its main campsite on the northwest side of Cumberland Gap, known as Camp Virginia.